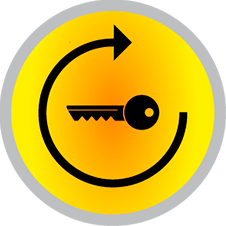 WiMEA is a highly advanced marine security protocol. Using our proprietary industrial-grade wireless technology to provide a wireless link that is as safe as a corded kill switch connection. Utilizing a high speed link and Unique ID Technology, it enables the MOB+™ to provide a robust signal while keeping the low latency needed to quickly react in a man over board situation. Up to four xFOBs can be connected to the xHUB™ at the same time, with one unit acting as the captain’s stop unit, and the additional three as alarm units for passengers. 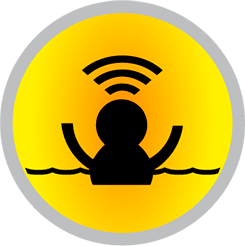 MOB Mode (Man Overboard Mode) is the safety mode of the system. MOB+™ will automatically activate shut down of the engine when the xFOB™ is submersed in 4 inches (10 cm) of water or travels out of range from the xHUB™. As long as you stay within wireless range you are free to drive your boat and move about as you feel like. Just relax as MOB+ cares for you if a MOB event should occur. 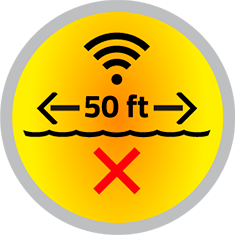 Should you fall overboard the MOB+ will stop the engine because the wireless connection is lost when submerged in over 4 inches of water, even if you are still within 50 feet of your boat. If you get out of the wireless range of MOB+, whether by falling overboard in the water or walking away from your boat on the docks, the engine will stop. dStart™ is the direct restart feature in the MOB+™ system. After 6 seconds MOB+ lets any remaining passengers in the boat restart the engine to pick you up in the water should a MOB event occur. When you get back on board you can reconnect by one click on the xFOB™. MOB+™ sets a new standard for wireless kill switches and safety onboard. 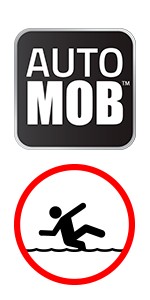 MOB+ is developed to provide 100% reliability and stop your engine in just one second should you fall over board. The WiMEA® Protocol is revolutionary wireless technology developed specifically for this purpose; to give boat drivers freedom and safety. 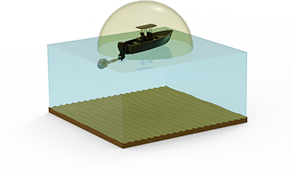 Developed specifically for harsh marine environments, our patented WiMEA delivers a consistent and trouble free wireless connection. 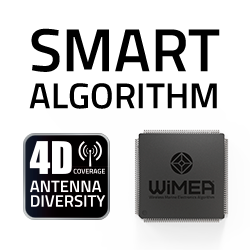 The WiMEA® Protocol operates across several frequency channels and has 4D Antenna coverage to avoid interference and unintented signal blocking, which makes it virtually impossible for any other wireless system to interfere with the operation of a MOB+ system.